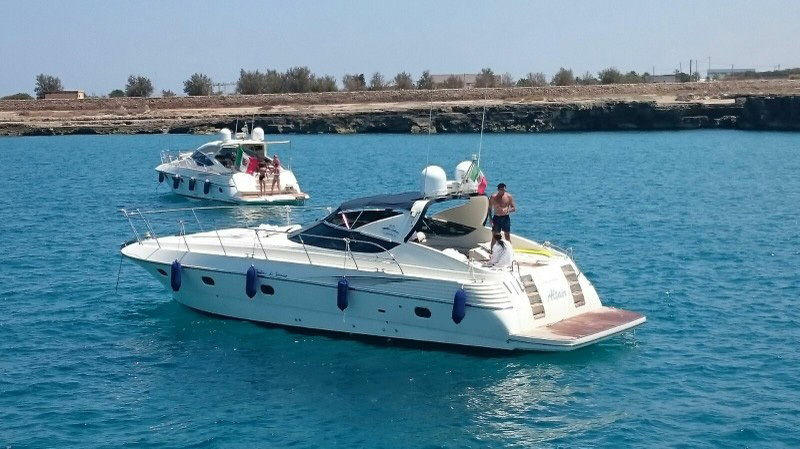 PRIVATE MOTOR YACHTS FOR HALF DAY OR FULL DAY TOURS WITH APERITIF OR LUNCH ON BOARD. Live the yacht experience on a luxury motor Yacht. Cut loose and relax, explore the amazing Polignano a Mare , full of caves and cliffs that have been created by the sea over millennia. The south coast of Monopoli is precious as well with the old town of Monopoli, the Castle of Santo Stefano , the "Calette", little spots with pristine water and the beaches of Capitolo. 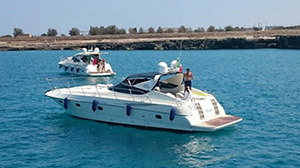 We will be able to stop off for a swimming break and an �aperitivo� of local snacks and a chilled bottle of Prosecco, Spritz or wine will be served on board. 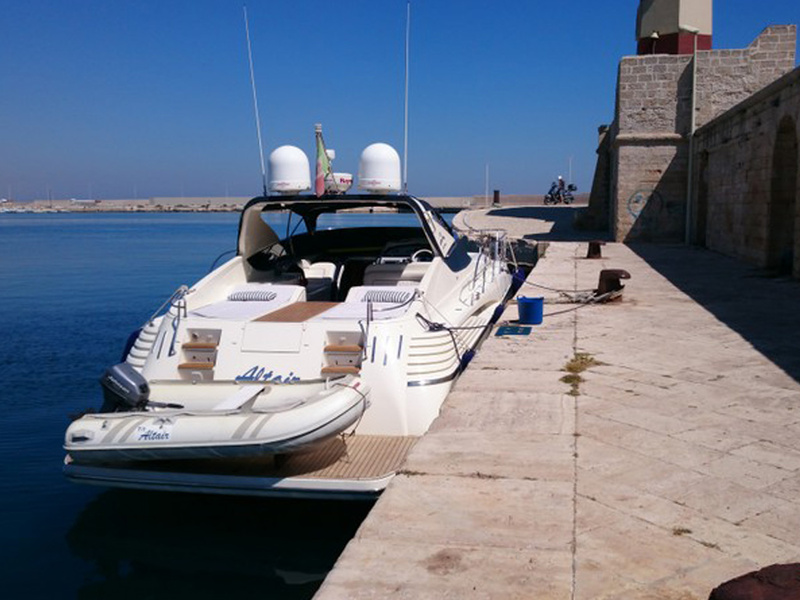 We do daily tours with departures from Monopoli for half day or full day with lunch on board. 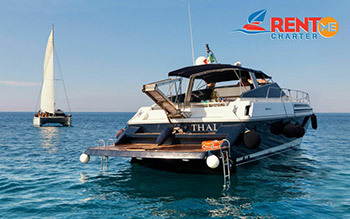 Don�t miss the opportunity to have a private party on board of a motor yacht, dancing in the cockpit, dip in the water from the bow, have a nice cocktail and listen music! 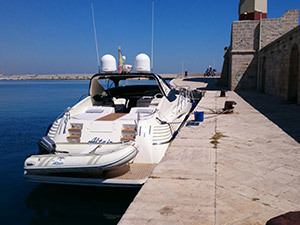 WE LEAVE FROM MONOPOLI PORT TO MAKE YOU DISCOVER THE SOUT COAST (CAPITOLO, SANTO STEFANO) OR THE NORTH COAST (POLIGNANO A MARE). 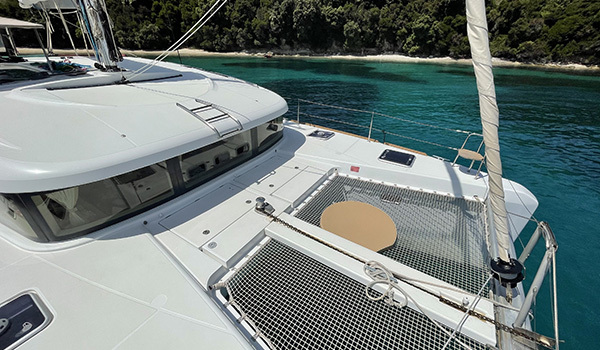 Owner's cabin with bathroom and separate shower Sailor cabin fully equipped kitchen fridge, oven large dinette with sofa and table. Half or full day tour.